If you are planning on Building a New deck or fixing up your old one, Be sure to talk to the Order desk at W.M. Dyck and Sons, we would be more then happy to help you take it from an idea to reality. Your deck becomes and extension of your home for you and your family, use it to barbecue, entertain or just plain relax. We have in-stock everything you will need from the ground up in both treated green or cedartone and low-maintenance products! Bring in your measurements today and get your dream deck started. We’ve developed a quick little worksheet that you can bring with you to the Lumberdesk – it will allow us to more accurately estimate the material needs for your project. Just click the link below and fill in the information you know along with a quick sketch of your expected final design. Today is Earth Day, 2019- We are celebrating in store by giving our first 50 customers a FREE WM Dyck reusable tote bag. You've got questions, we've got answers! 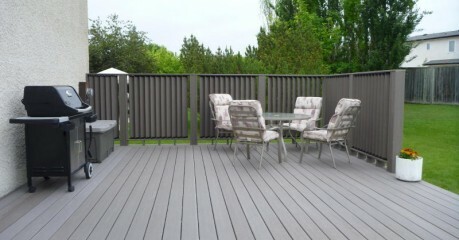 Many of you have been calling about green treated decking lately; Yes! We still carry this product. See below for available sizes. WM Dyck & Sons WM Dyck & Sons is feeling excited at WM Dyck & Sons. All Paslode Nailers and Makita air compressors on SALE!